YAMAHA, Torakusu Yamaha, a watchmaker, developed Japan's first reed organ and founded Yamaha Reed Organ Manufacturing in 1887. 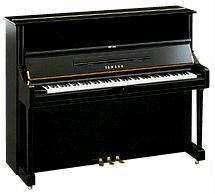 In 1899, the first product to bear the Yamaha name was a reed organ built in 1887. The manufacture of pianos began in 1900. The trademark symbol that appears on every Yamaha product, three crossed tuning forks, soon became recognized world-wide as a mark of quality. Through innovative and dynamic engineering, Yamaha has been able to produce the large number of fine pianos it supplies for world markets while maintaining the high levels of craftsmanship and skills required to build fine musical instruments. Designed for the experienced pianist and professional musician. 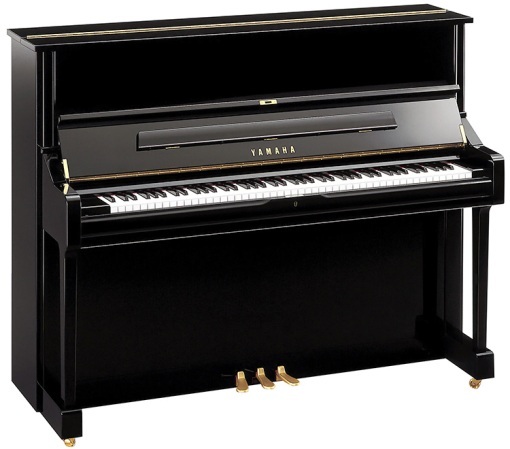 Upright pianos with outstanding tone, touch and durability. Yamaha U1 Uprights(48", 121cm) that probably had more to do with the initial success of Yamaha Pianos in America than did any single model, with the possible exception of the C3... its grand piano "cousin."